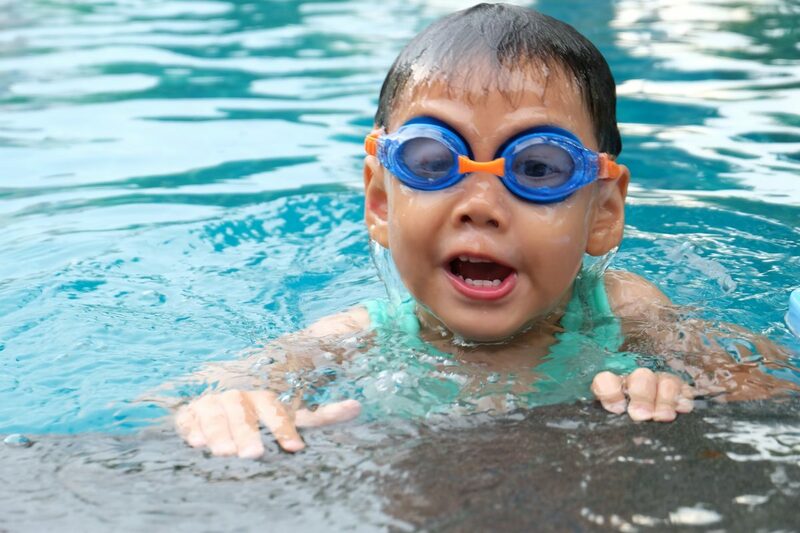 Home > Blog > News > Should I get swimming lessons for my kids? We all know exercise is good for you, and swimming is a great way to keep up your overall fitness. But what if we can’t swim as adults? Does that restrict us? Should we get swimming lessons for our kids? Swimming is a lifelong skill that can be learnt from a very young age. Babies as young as 6 weeks old can benefit from being in water and, once they get used to it, can have an advantage on kids who have started swimming at a later stage. It’s important to remember that drowning is a leading cause of child accidental death. Though it is never too late to learn. With the LLeisure swim school at Kimberley and Bramcote Leisure Centres offering lessons on all stages from baby, child, teen through to adult swimming lessons. Help your child learn how to swim in a controlled environment with a qualified Swim England swimming teacher. Excellent lifesaving skills through drowning prevention week and rookie lifeguard lessons. See their progress through the home portal, certificate and badge work. Gain water confidence in a group setting or during 1-2-1 sessions if the child needs more support. As a parent, you have to weigh up the pros and cons of committing to a swim school. You may wonder what difference a lesson could be to – let’s say – you taking them yourself and teaching them. This would be cheaper, and you already know how to swim, so why can’t you teach them? Yes, most of these questions I have asked myself as a mother many times. The truth is, it has to be right for you, your family, and most of all – your kids. As parents, we all know how they change their mind from “I want to do swimming lessons” to “I want to learn to play the guitar!” If we were to buy into all these new ideas we’d have a house full of hobbies that didn’t make it past the initial contemplation phase. Instead they made their way to the shed or loft. Luckily for you, our swim memberships are non-contract based. If they lose interest you can cancel at any time; allowing you full flexibility in making these decisions. Incidentally if during these lessons you wanted to gain some time for yourself, you could chose to watch the lessons – or use the time to spend on yourself. You could be training in our gyms at each site or relaxing in our Spa at Bramcote Leisure Centre. Perhaps you yourself have never learnt to swim, or could do with a brush up? We have adult swimming lessons too. Whatever your goals are – we are here to help and support not only your kids – but also look after you too. All of the benefits listed above can translate into an adult setting giving you the confidence and ability to not only reach your goals, but smash through them too! All with the help and support of your swimming teacher.